Another important issue PIARA has identified is a general lack of information and misunderstanding of the archaeological remains that form part of many communities' landscape. These remains are a testament to the rich cultural history of their ancestors, yet they are currently under grave danger of complete destruction due to the constant need for more agricultural land as communities grow. However, not only are these archaeological sites important to preserve for their historical value, but many of these archaeological remains are valuable economic resources that have the potential to bring in revenue through tourism. Here are some of the different ways we are attempting to preserve the heritage of the Hualcayán. 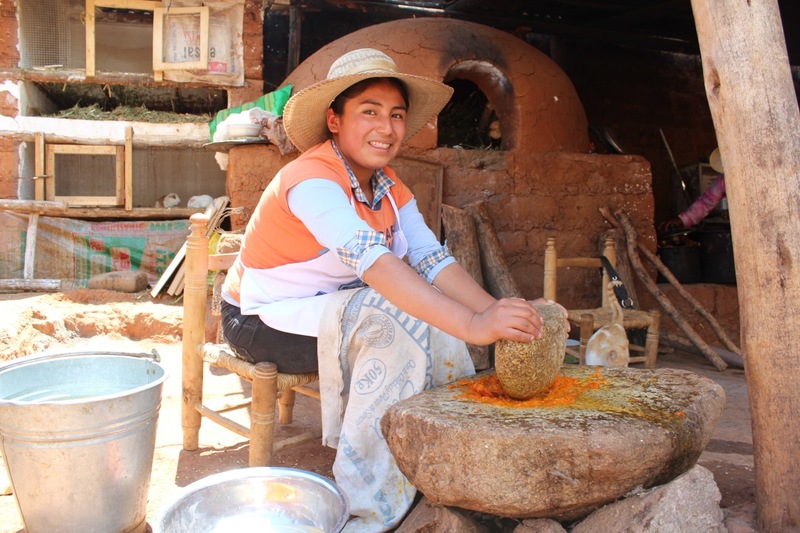 In a small but important step through a grant from St. John’s Episcopal Church in Memphis, Tennessee, US, PIARA launched a craft production workshop in Hualcayán. 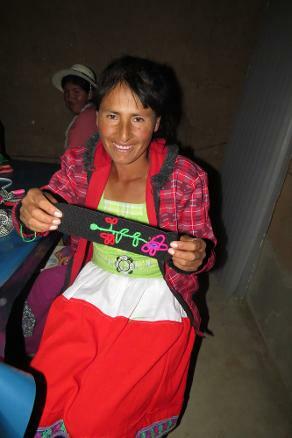 Over one dozen women from the community have participated in creating various sewn and woven handcrafts. Besides providing income for the artisans, the items will be sold through PIARA to raise funds for the medical needs of the community. These handicrafts are currently being sold at the C.H. Nash Museum at Chucalissa, but PIARA hopes to expand sales to local crafts fairs and other locations. For more photos of the Women in Hualcayán Crafts Workshop, click here. In the Callejón de Huaylas there is already a constant flow of international tourists who come to trek in the Cordillera Blanca and Cordillera Negra mountain ranges. If the communities living near archaeological sites understand the benefits of taking care of their heritage sites, there is great potential to combine the adventure tourism that already exists with archaeological tourism. 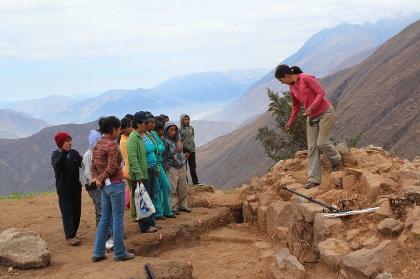 PIARA finds it important to conduct ongoing heritage education projects. Talks, presentations, and even informal conversations serve to communicate the importance and benefit of site preservation. We also understand that the youth are the future caretakers of their communities, and therefore we focus heavily on education projects in the local schools. PIARA directors Rebecca Bria (Vanderbilt University Anthropology) and Elizabeth Cruzado Carranza (University of Memphis Earth Sciences) are formally collaborating with Dr. Robert Connolly, the Museum Studies Graduate Certificate Program and the C.H. 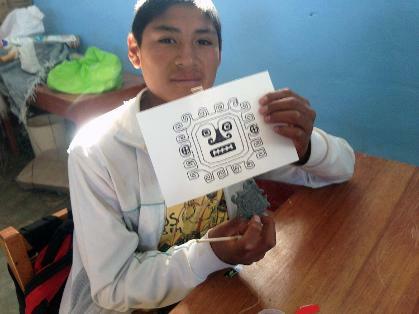 Nash Museum at Chucalissa at the University of Memphis to develop a formal curriculum in heritage preservation specially designed for the school teachers in Huaylas, Ancash. This educational program is the first step towards the creation of community museums with strong educational components in Hualcayán and Pariamarca. We are currently working with the school teachers of Hualcayán, carrying out workshops with school children. These workshops include on-site explanations of excavation units, hands-on lab time with artifacts, and visual presentations. 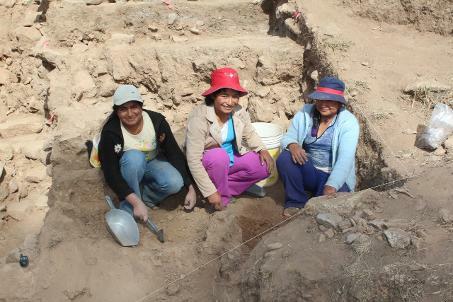 Older youth spend their time working as our excavation and laboratory crew in order to learn the science of archaeology and better understand the objectives of our project. These workshops and work experience serve to educate and inspire the next generation to find creative ways to keep their heritage alive. These opportunities are important for the ongoing education of Hualcayán youth, particularly as many children do not even complete primary school. We are also committed to empowering youth and young women, and the majority of our workers are young women and mothers. These vibrant, intelligent women express a strong interest and pride in the discovery of their ancient past. They are also content to gain economic leverage in the household by bringing home a modest paycheck each week.